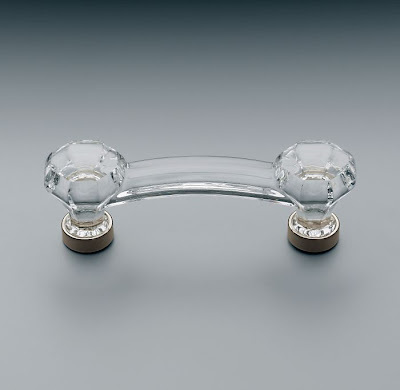 A reader posted a comment yesterday after my posting about Restoration Hardware's glass knobs. 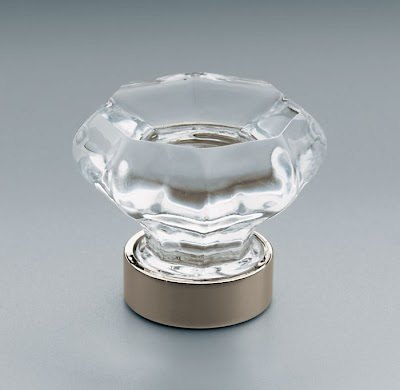 Ming wanted to know what kind of a design would dictate the use of glass knobs. Well, here's a look at a rendering of the project where the glass knobs will go. This is a butler's pantry located between a formal dining room and a kitchen in an older home. 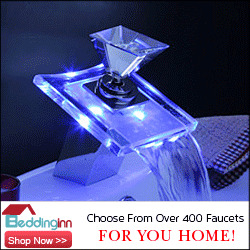 It's a true butlers pantry because it will be used to store dishes, linens, silverware, and serving pieces. Technically, a butler's pantry is a small room used for storing the stuff you'd use to entertain, and they're also used to stage and clean up after dinners. This one has a dishwasher and an icemaker in it and so that real china can be stored in the wall cabinets, each of the wall cabinets is 16 inches deep. The standard depth of a wall cabinet is 12" deep and that's not enough depth to be able to stack large plates. 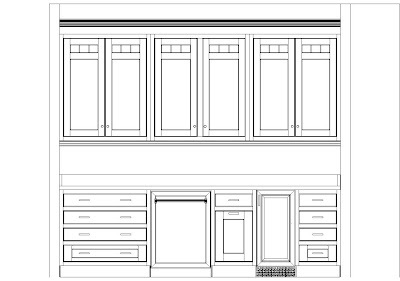 If you're planning a remodel some time, add some deeper wall cabinets, butler's pantry or no butler's pantry. You'll be glad you did. Those wall cabinets have a pretty distinctive, Mission-style mullion over clear glass. The cabinetry is an inset style from Medallion Cabinetry called Winslow and they have been painted an off-white color called white chocolate. That photo is from Medallion, the kitchen and butler's pantry I'm working on is still in the concept phase though the construction ought to start on it at some point before Thanksgiving.